A knife was one of the inevitable tools for mankind. It was necessary for survival and livelihood. 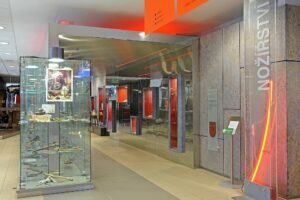 The Cutlery exhibition describes the development of knives and cutting tools since the Stone Age. You can study flake knives and the first metal tools – bronze and iron. 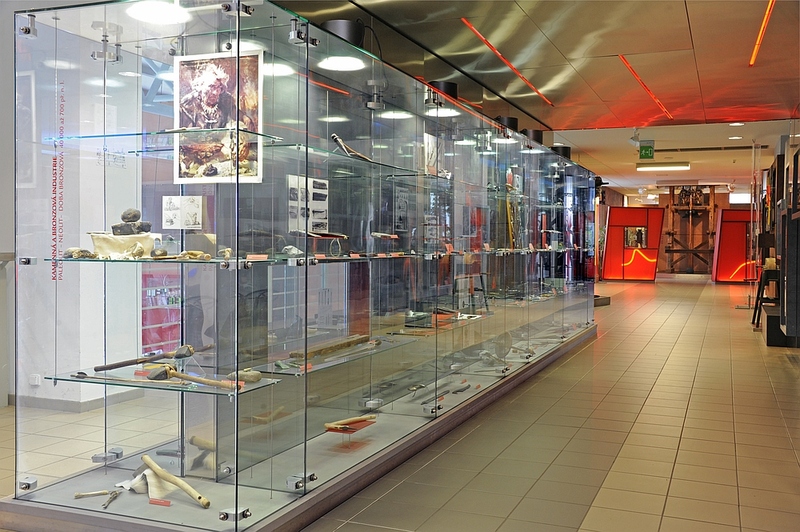 Additionally, you can observe historical originals and knives made of contemporary materials, i. e. alloy steel. 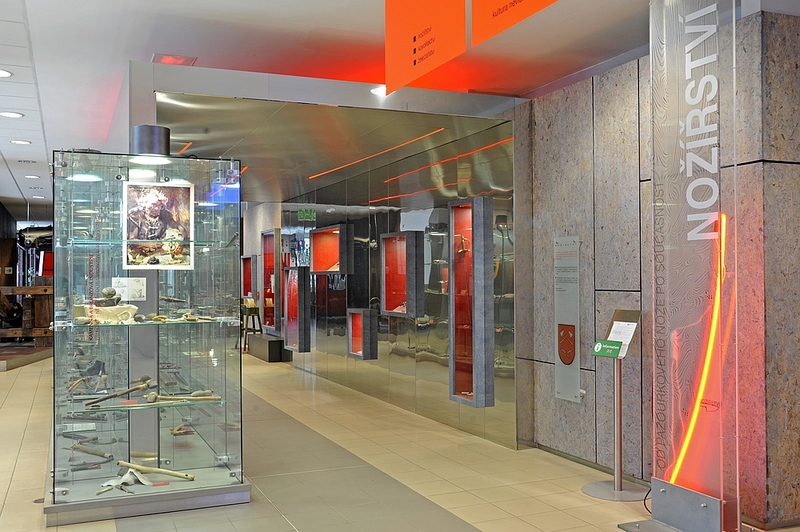 The display primarily displays information about production and the use of cutting tools here in Czech lands and Slovakia. Presentations of technology and methods of productions are not only used to show finished products but also the cutlery craft itself. 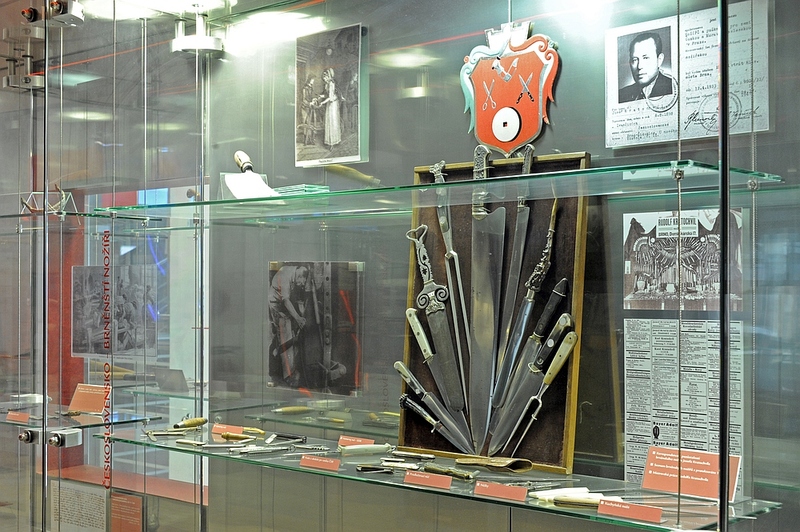 The display contains a gallery of cutting tools which were derived from a basic type of knife used by craftsmen or ordinary people at home – razors, straight razors, pocket knives. Knives were also used to protect themselves, therefore there is a section devoted to assault or defensive knives used in army.